I recently visited the new World Trade Center Transportation Hub, with some friends for a photo outing. The hub was designed by internationally acclaimed architect Santiago Calatrava, and it just opened on March 3, 2016. Although as you can see above, construction is still going on. The design and position of the Hub will maximize the autumnal equinox sun rays, which occur in September, around the anniversary of the catastrophe. Calatrava designed the Oculus to resemble a soaring bird with wings spread, to add a spiritual dimension to the structure. At the top of the structure is long window to let in light, known as the Oculus. 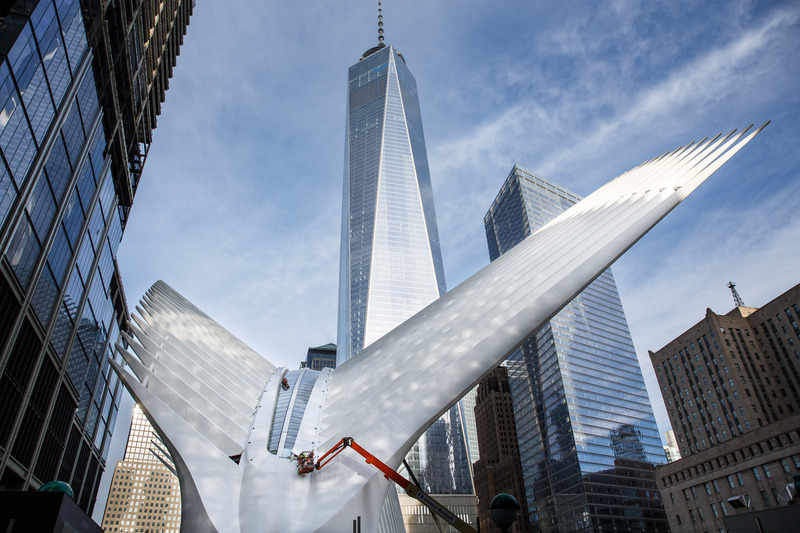 It is stunning to see, and will no doubt become a destination for tourists when visiting downtown or the 911 memorial museum nearby.